We've all experienced it before. 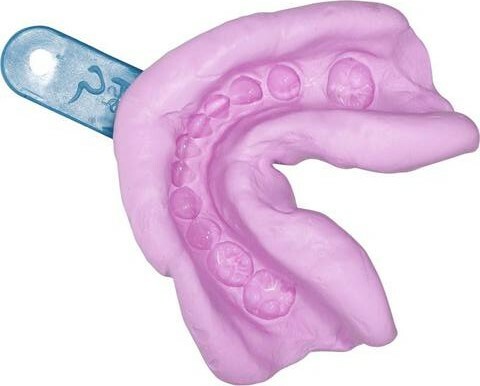 I remember in dental school one of the first things we did was learn to make impressions of each other's mouth and teeth. Imagine someone with a tray full of goop coming straight at you, and they have never done it before. It's not fun. It doesn't have to be that difficult! 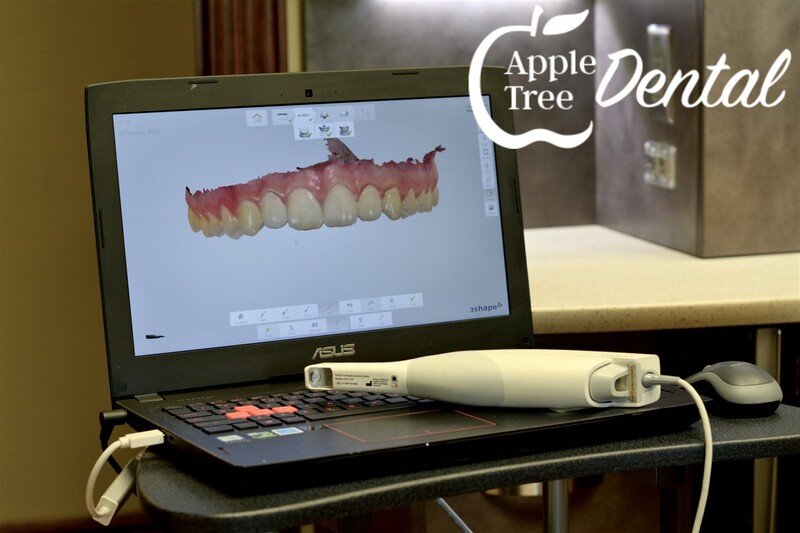 At Apple Tree Dental in Rexburg we use a digital scanner that makes the impression digitally. That's right: no goop, no mess, and a lot more smiles! Technology advancements have taken the old analog and made it possible for digital. 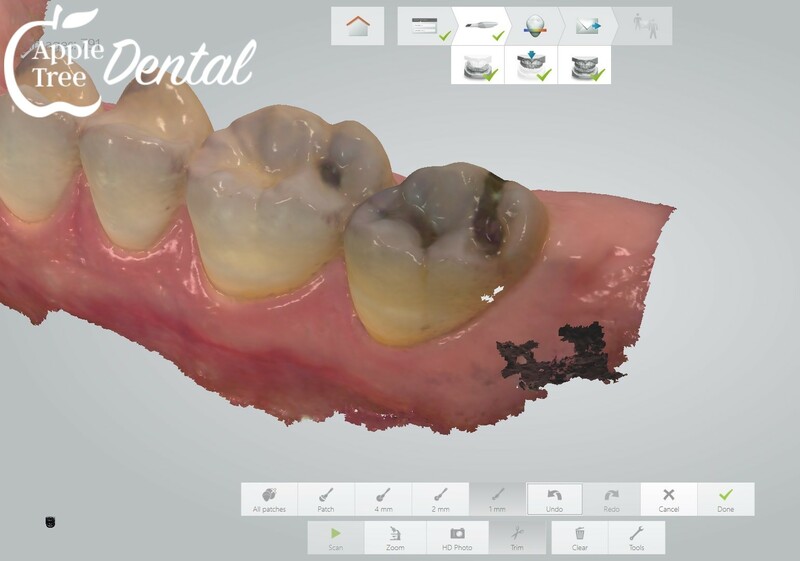 Over the past 20 years digital scanners have become better and better allowing us to get a more accurate impression then the traditional impressions. This means you'll be more comfortable when we make an impression of your teeth. The scanner is really just a 3D camera that takes more than 3,000 pictures per second. Those pictures combine together to form a 3D model of your teeth and gum tissue. 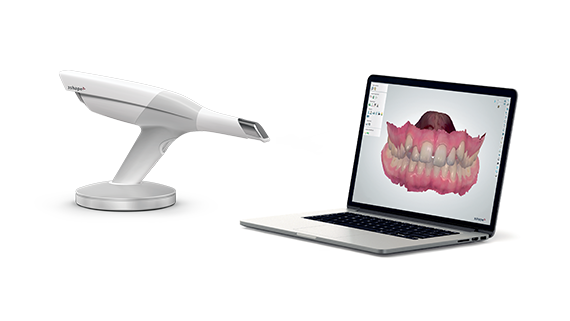 Scanning is fast, comfortable, accurate, and painless! 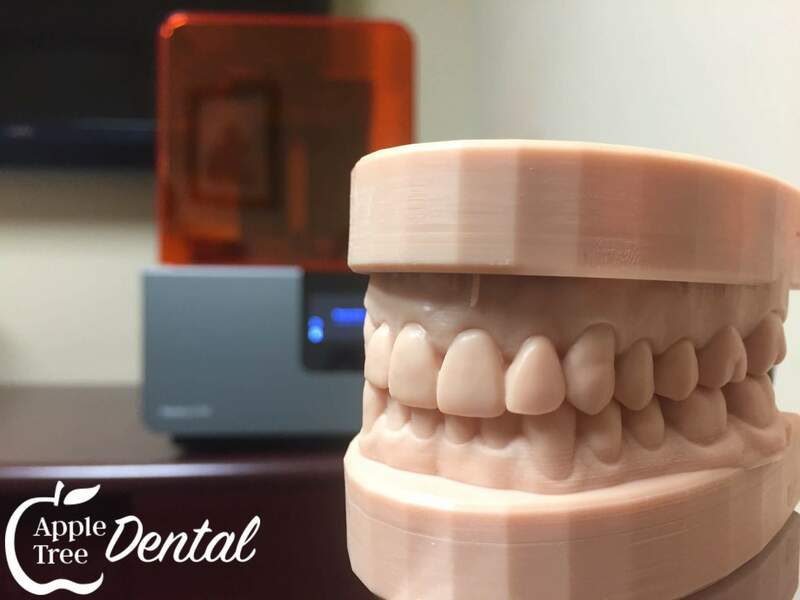 Some models of scanners require a powder to allow the camera to get a better picture, but at Apple Tree Dental we use the Trios 3D scanner which takes pictures without powder. Another reason we use the Trios is because it's rated as the most accurate scanner on the market. Oh, no... Do it again?! If you've had an impression before then you know they aren't always perfect. In dental school the same guy that made my impression for his first time ended up doing it about 5 times before he got a usable impression. Imagine all the mess that made! 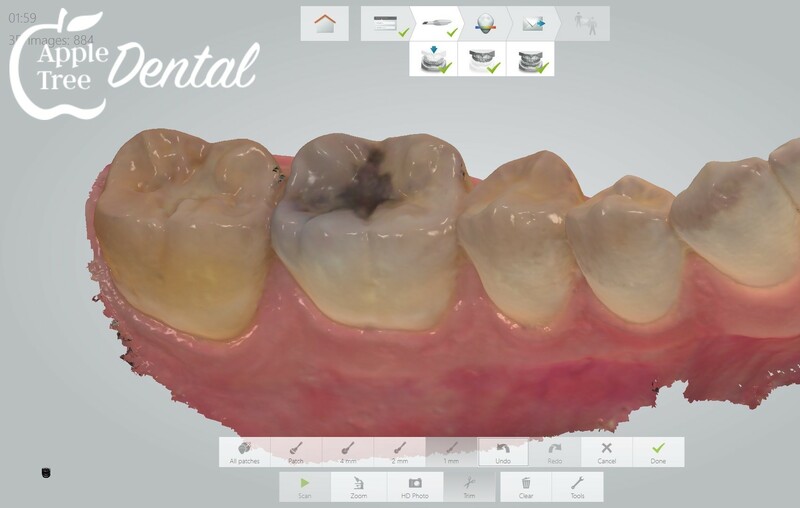 With the digital impression we completely remove that hassle. If there's a spot we don't like, we can erase just that part and make a quick scan. In other words, we can save you time and eliminate errors! 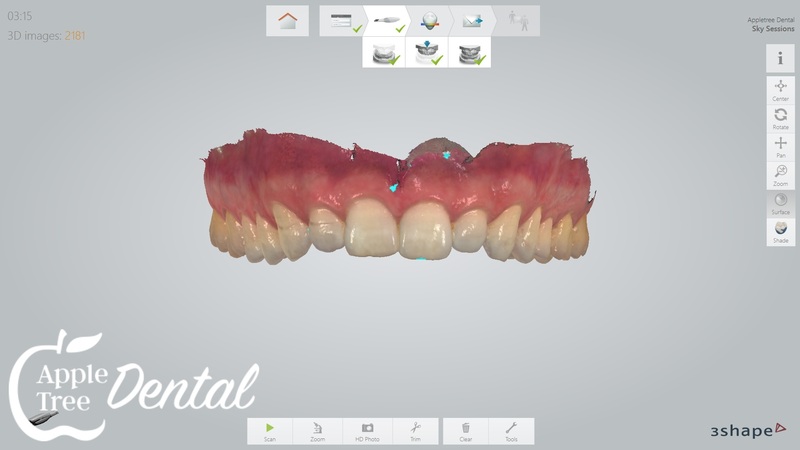 We can show you the pictures of your impression, and you'll see what we're doing, problem areas, how your teeth fit together, and many other things. It's all in color and looks just like your mouth. One great feature is that we can digitally archive your impression, and years later if something changes we can have it available. 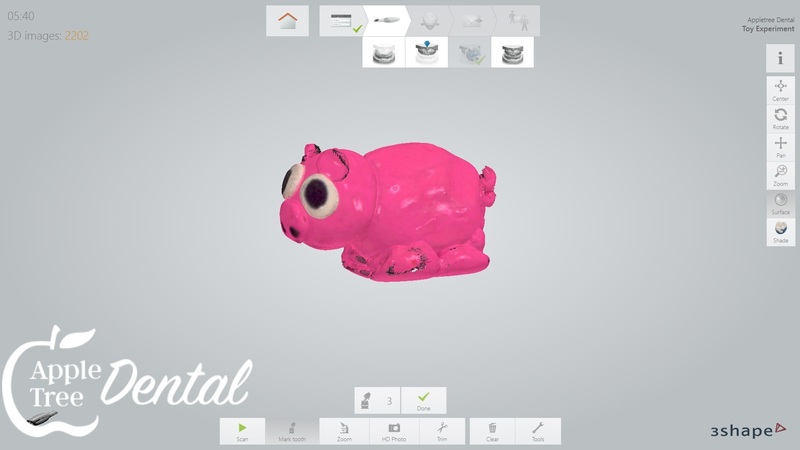 With our 3D printer we could even print a copy of models. This is the technology that some offices use to make same day crowns, which I'll have to share on another blog post why we don't do that. Our windows have shutters, and one day we bumped them a little too hard and broke a part inside the shutter. We had a hard time finding a replacement part for repair. Finally, we used our scanner to duplicate that part digitally and then 3D print it. Another fun application was Dr. Larsen's girls had made some clay animals and wanted to make a plastic version of the toys. As you can guess, we scanned those and printed them with the 3D printer. When we moved back to Idaho from Germany we had lost a game piece. You guessed it: I scanned it and 3D printed it! This is just another way we deliver dentistry with extraordinary integrity, care, and comfort! Want to learn more or see how it all works? Drop by, and we would love to show you!